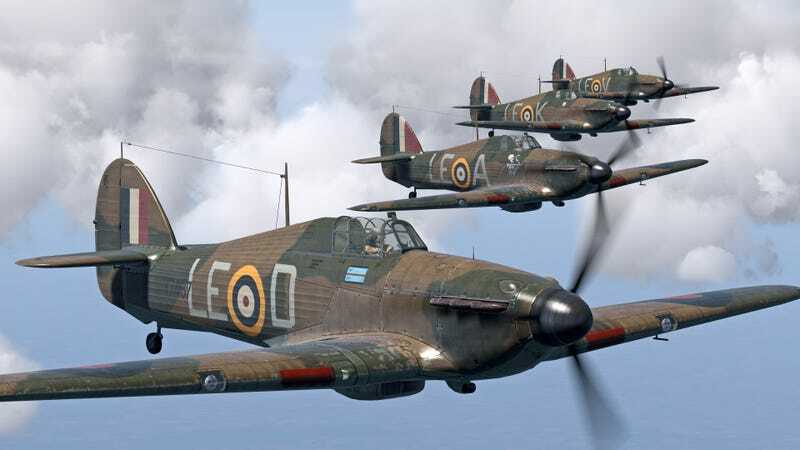 When flight sim IL-2 Sturmovik: Cliffs of Dover was released in 2011, it was...OK. Over the next few years dedicated modders stepped in to make the game great, however, and in recognition of their work the actual studio behind IL-2 has just re-released their work officially. IL-2 Sturmovik: Cliffs of Dover BLITZ Edition is the result. Officially sanctioned and released under the banner of original developers 1C, it combines the original game with all the work that the fans at Team Fusion Simulations—now given access to the game’s source code—were able to cook up. This work includes new planes, new graphics options, new damage and weapon modelling updated visual effects. You can buy BLITZ if you’re coming into the game fresh, but if you already owned Cliffs of Dover, BLITZ was added to your Steam library for free late last year. Team Fusion has spent the past several years improving and fixing issues in the original Cliffs of Dover since its initial release. Their work has greatly improved performance and fixed serious issues. Earlier this year, 1CGS gave the source code to TFS allowing them to further improve the title. Their work is now officially a commercial product and no longer just a mod. Below is some of what is included in BLITZ. Video game development text books of the future: this is a cool way to handle people modding your stuff and making it better.